Caesars Atlantic City is a hotel and casino located directly on the Atlantic City boardwalk in New Jersey. Caesars is more than just a hotel. 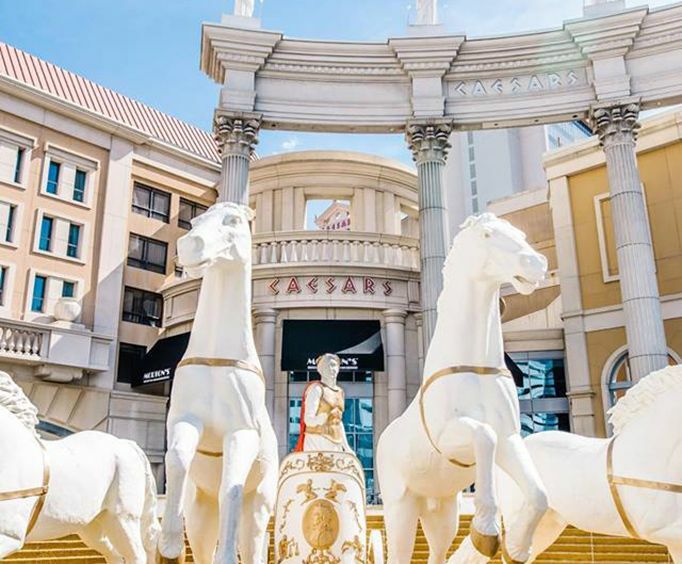 It offers an attached casino, the Circus Maximus Theater which books big name entertainment, the Qua Baths and Spa Center for a Roman-influenced spa experience, and several restaurants for steak, sushi, and fine dining experiences. During the warm season the hotel offers a roof-top pool, and all year there is a beauty salon and shopping options in the hotel. Guests also have access to the award winning Atlantic City country Club golf course. 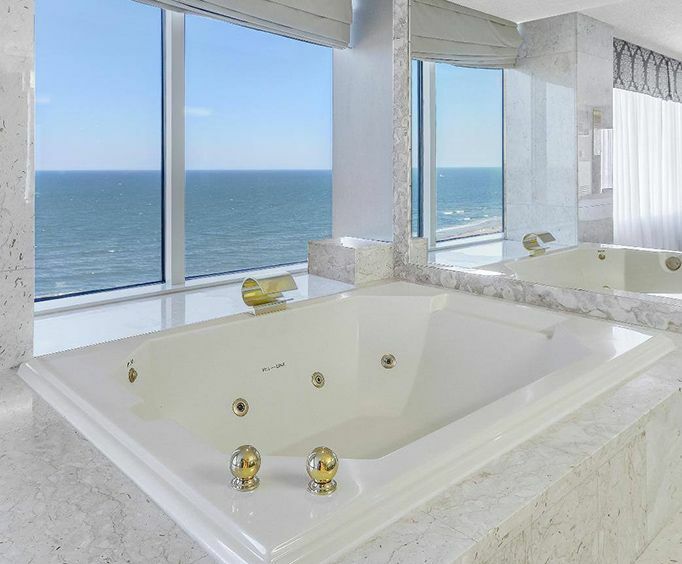 The Caesars Atlantic City offers an abundance of experience. There is such a variety of evening options that you will probably find yourself sleeping-in, enjoying the deluxe beds. When you do wake up you can head down to one of the many hotel restaurants or the Palace Court Buffet for brunch. After a meal you can walk out onto the Atlantic City Boardwalk where you will find endless entertainment and shopping options. For dinner head back to the hotel for a fine dining experience, such as sushi and steak at Nero's restaurant. In the evening you will find yourself torn between taking in a show at the Circus Maximus Theater, mingling at the hotel clubs, or playing in the gaming rooms of the casino. The next day you might just want to relax and recuperate at the luxurious Qua Spa. 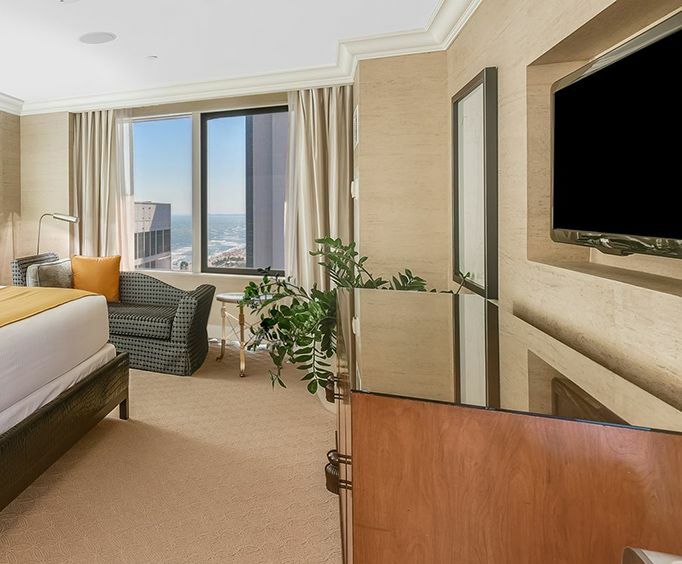 Each room at Caesars Atlantic City offers a flat screen cable television. The rooms offer sleek decor with blackout curtains to ensure a good night's rest. The Atlantic City Convention Center is less than a mile away, and the Hard Rock Cafe is also about a mile away.